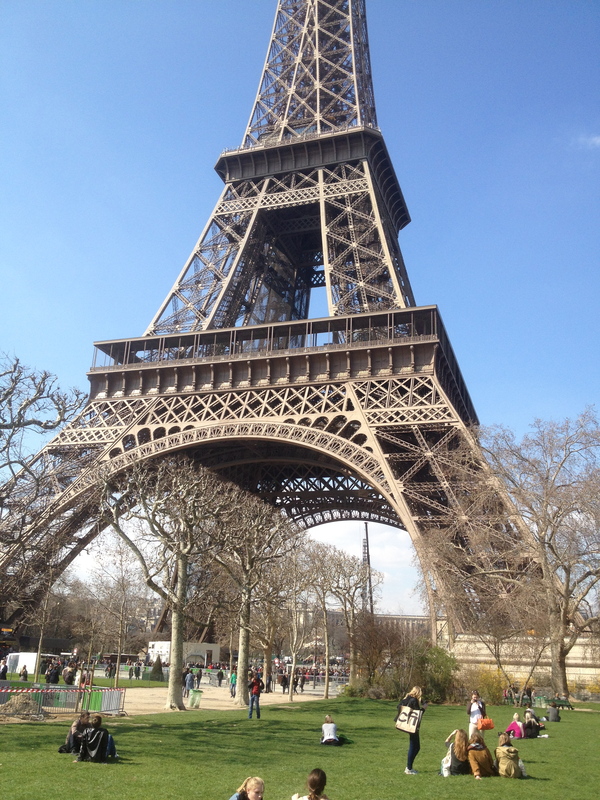 Dear Paris: Heaven called and wants its weather back. 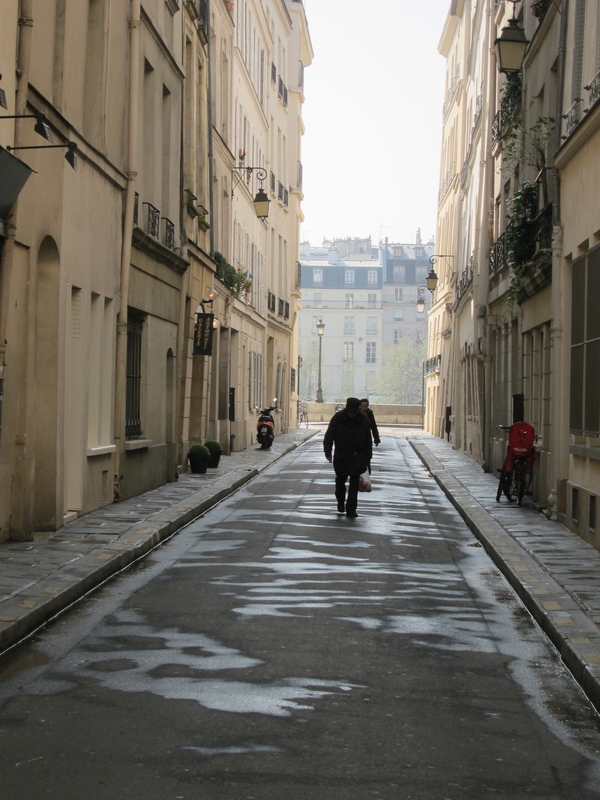 Now hear this: Paris has been incredibly beautiful for most of the past two weeks. If we don’t have a rainy day soon, my family is going to run out of clean clothes and canned goods and end up eating marshmallow fluff in our bathrobes. 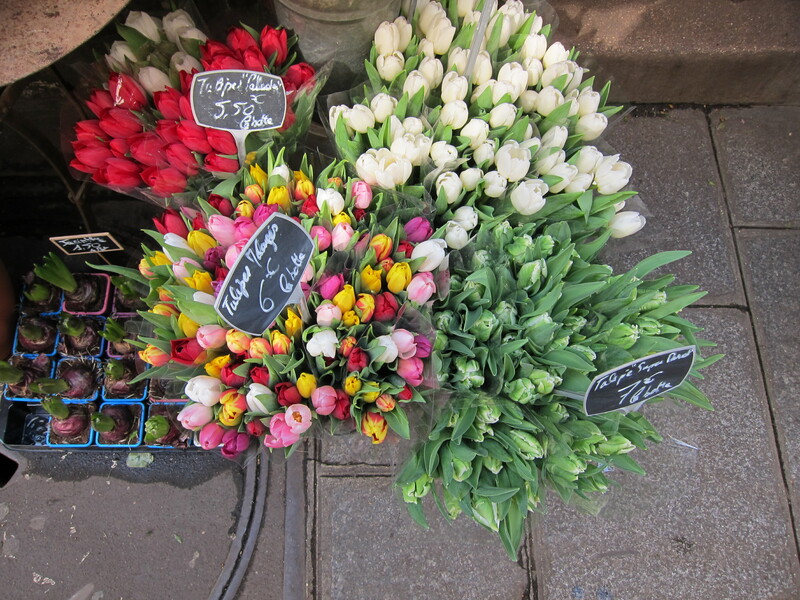 Really- it’s so hard to do anything like laundry, shopping, blogging, or cooking when springtime beckons. I better get this figured out before I have a revolt on my hands here. I promised to tell you about what my friend and I did last week and it’s quickly becoming a sunny, smiley, winey, cheesey, picnicky blur. I may have to make some stuff up. 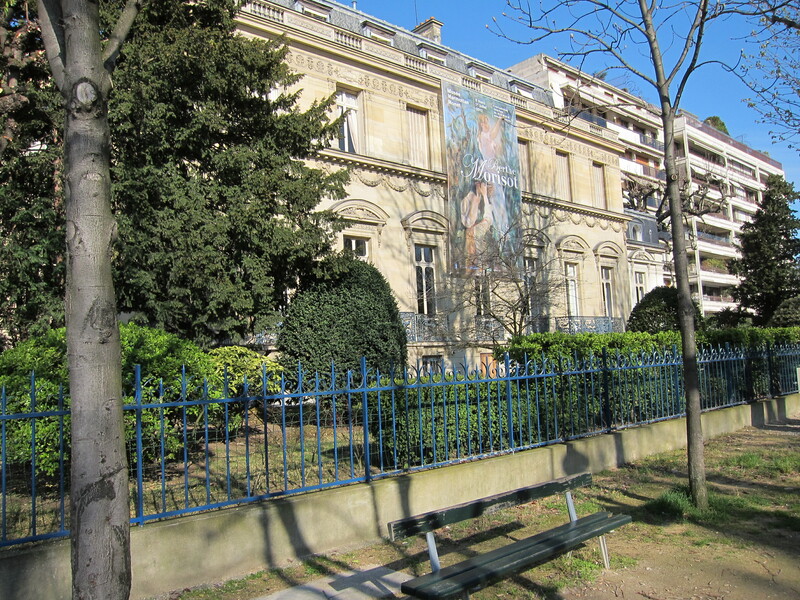 One day we went to a wonderful little museum in the 16th called the Musee Marmottan Monet, which is housed in a former hunting lodge and contains the world’s largest collection of Monet. We were fortunate that there was also a temporary exhibit of Berte Morisot there. She was a respected Impressionist and was married to the brother of Manet. Don’t worry- there will not be a test over this at the end of the post. This was my first trip to the museum and now it’s on my “Recommend” list for art-loving friends. 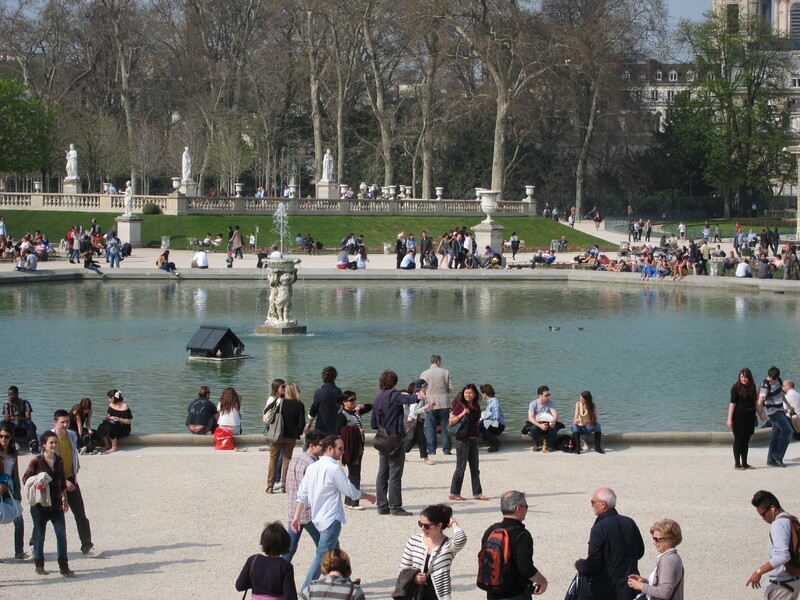 No one should miss Luxembourg Gardens when the weather is like this. My friend and I enjoyed it and then Mark and I went back Saturday for a picnic. One might expect to see signs in parks indicating in which areas one must stay off the grass. You do see a lot of those in Paris. 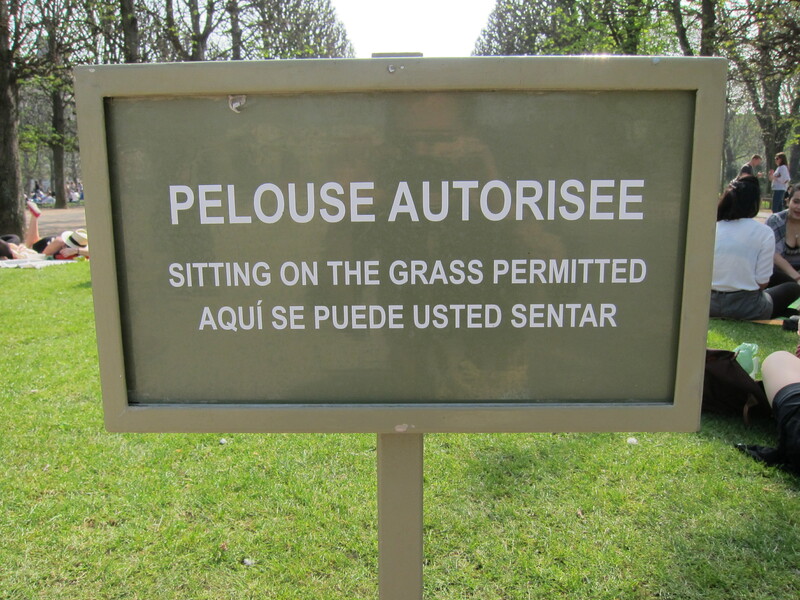 However, apparently at the Luxembourg Gardens it makes more sense to designate the relatively small area where the grass is available for sitting. But absolutely no lying, rolling, ball-kicking, or any other kind of fun-having. A few people were interested, despite the limitations. 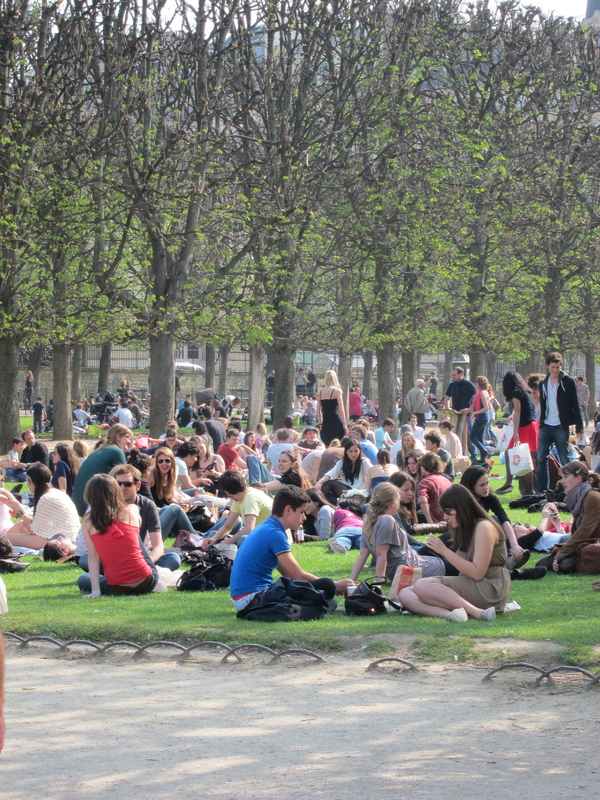 My friend and I picnicked at the Champ de Mars, and it was divine. One day we went on a guided tour of the newly-opened exhibit at the Museum of Decorative Arts, entitled “Louis Vuitton Marc Jacobs”. 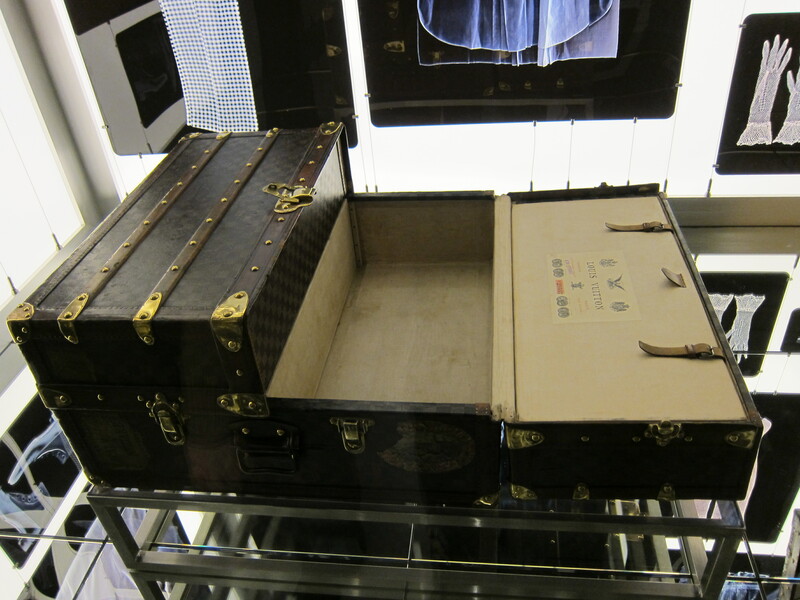 This interesting and sometimes quirky exhibit showcases each man’s contribution to fashion and their collaboration on the LV line. 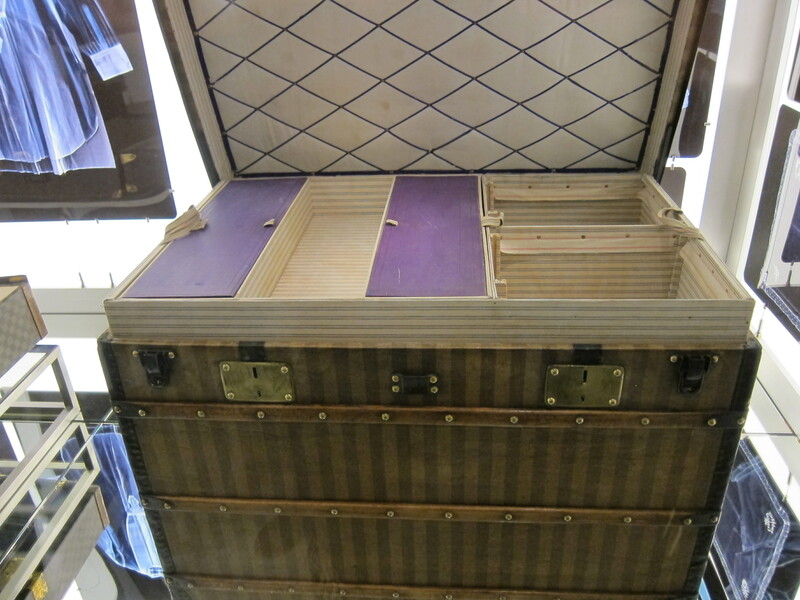 I took these two pictures of old LV trunks before I realized that photography was not allowed. Oops. I found these images on the internet. I guess SOME people are allowed to take pictures. 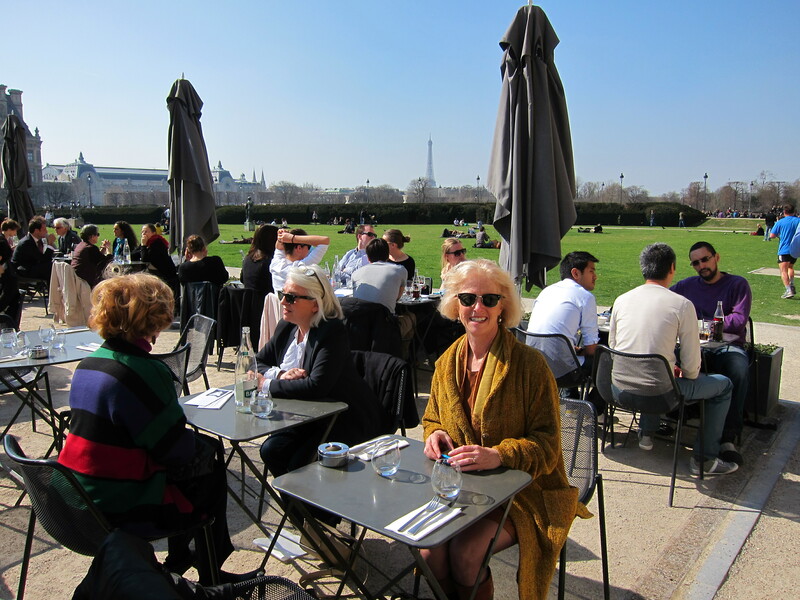 After such a stylish outing, nothing would do but that we dine on the terrace outside of the Louvre. 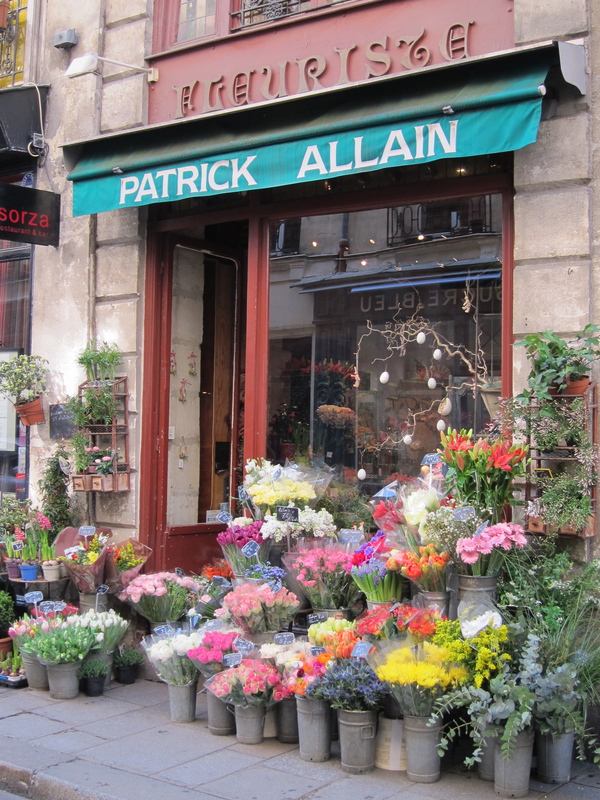 We ate gelato, admired pastries, swooned over flower displays, and walked all over Paris. And so Hotel Mai has closed its doors for a month or so. We have some travel of our own planned. 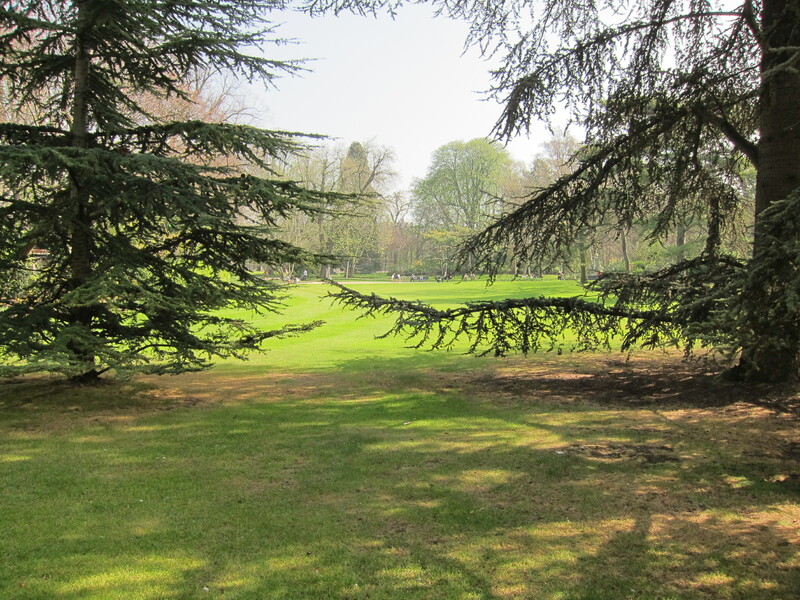 And lots of picnics to be had. 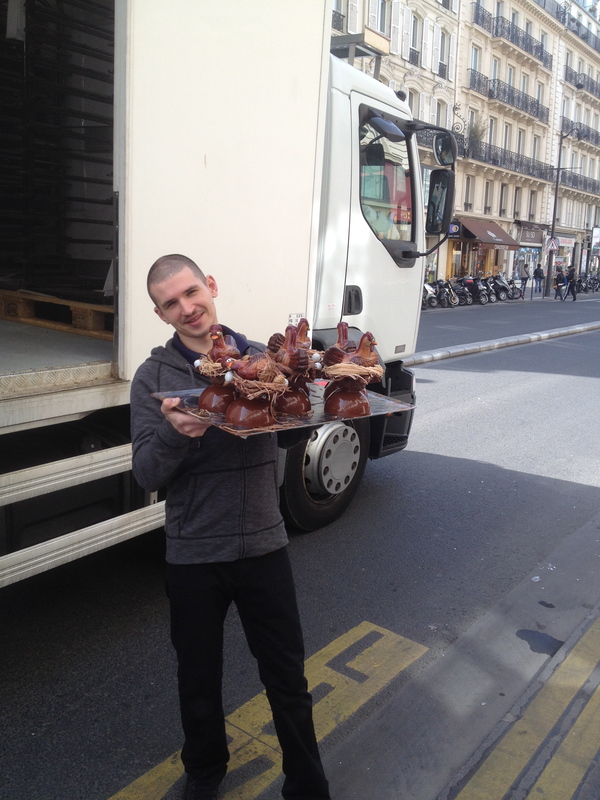 Be the first to read all about it, right here, on Channel Mai Oui Paris. All Paris. All the time. fun post! 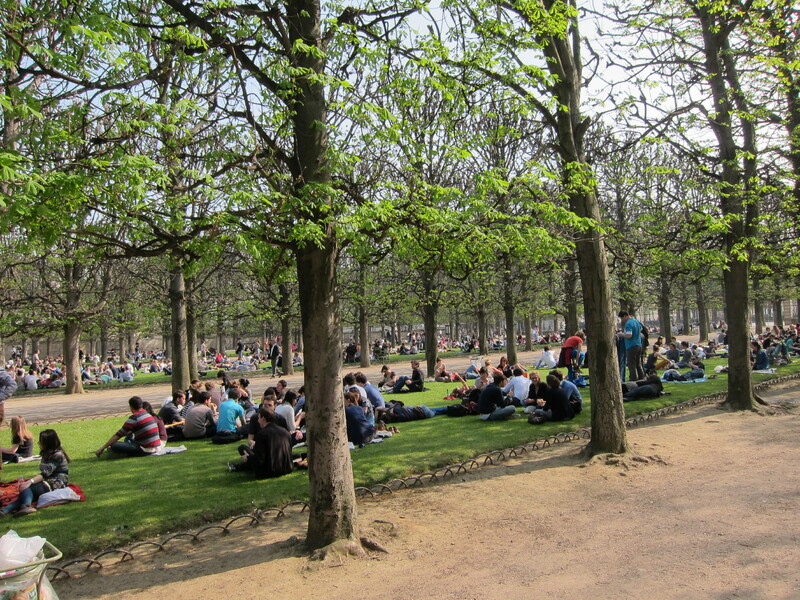 you will have an extended spring in Paris this year…how lucky! 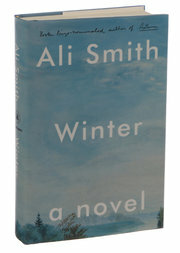 I know- after a mild winter, too! I”ll take it! I wonder if they sell those chocolate chickens in Houston for Easter? Hey, things haven’t been too shabby in H-town either. After what seems like two solid months of rain, the sun has come out, and the flowers are abundant. 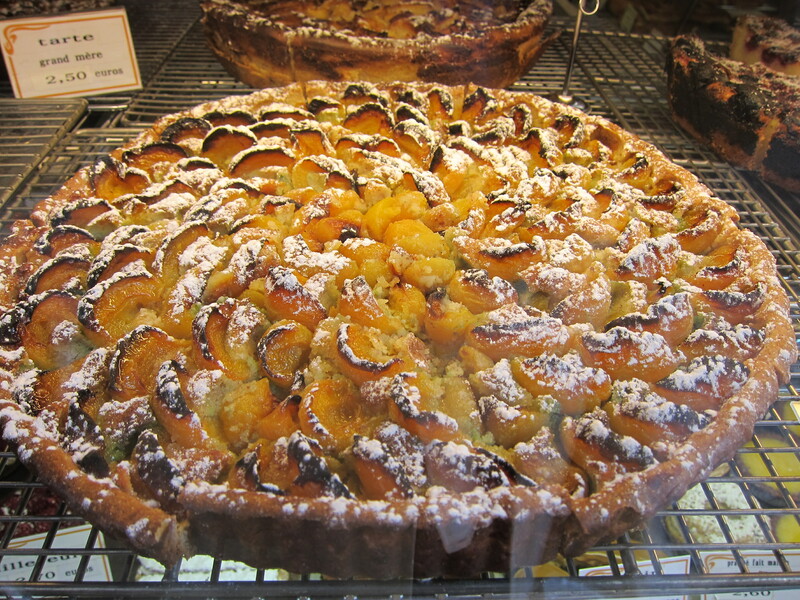 But that tart? Now, that’s somethin’. A girl after my own tart!!! Well, it was no Paris, but Houston was quite lovely this weekend: low humidity and sans mosquitoes! 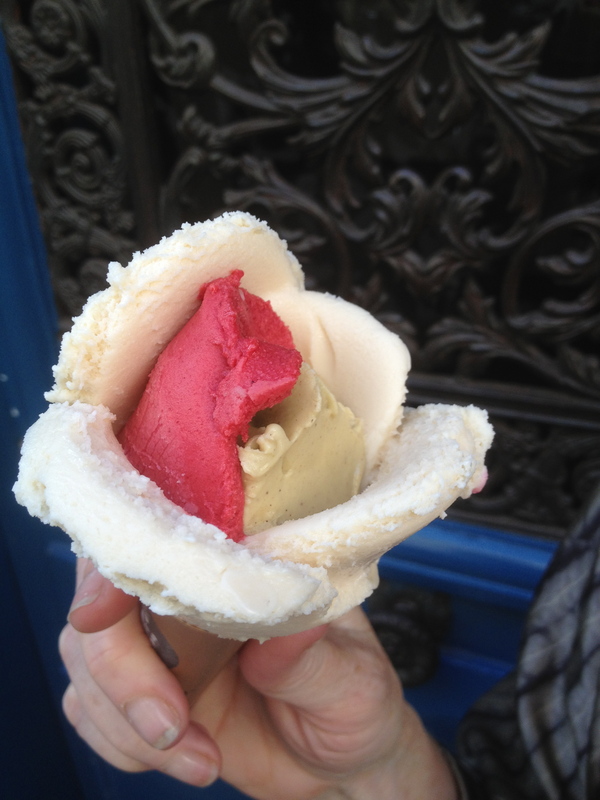 Is that a flower-shaped gelato?? Whatever it was, it looks great! Oui! Amorino is a chain here and they make gorgeous cones that taste as good as they look. My current favorites are amoretto and speculoos, but I did taste the rhubarb and it was pretty darned good, too. So hard to choose.